Dreamcatchers are fun, easy and kind of addicting to make. I'm such a sucker for anything mixed media and no two dreamcatchers are ever alike. You can customize them in so many different ways and hand make almost any type of embellishment. Hand stenciled felt feathers might be one of my favorites. That Jonathan Fong is a clever, clever man. I had the privilege of working with him a couple of times on Craft Lab and he always blew me away with his projects. 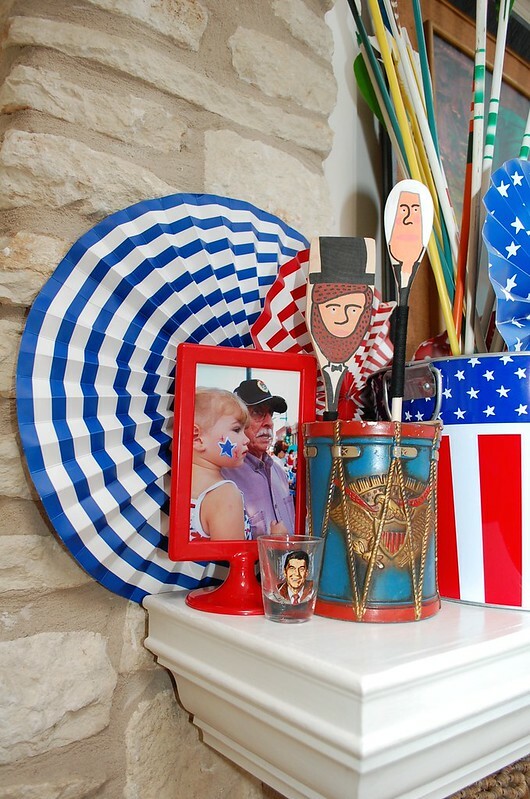 These adorable patriotic sting lights he made for EHow are no exception. Watered down Tacky Glue would work perfect for these. Nothing says America more like Abraham Lincoln. Well maybe except for George Washington. That is why I made spoon puppets out of each of them. Go ahead and make a cereal box puppet theatre while you are it. I used Tacky Glue to wrap the spoon handles in black yarn for their suits. 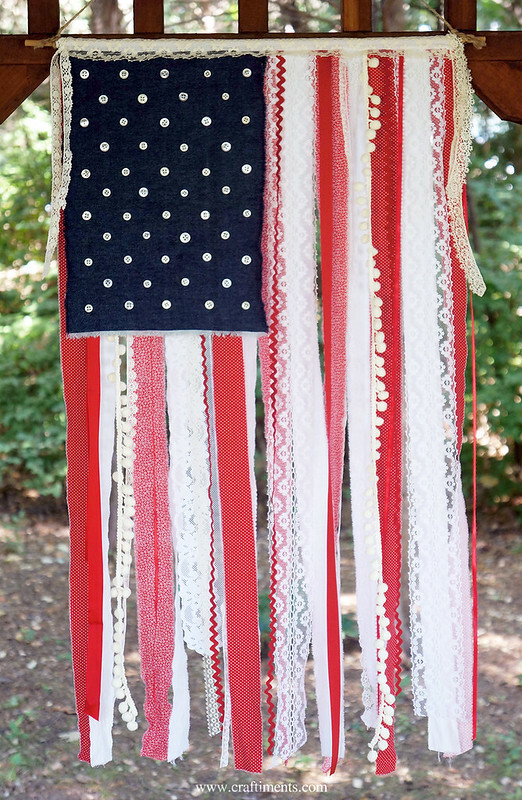 This adorable Fourth of July Bandana Bunting from Life in Wonderland had me at no-sew. 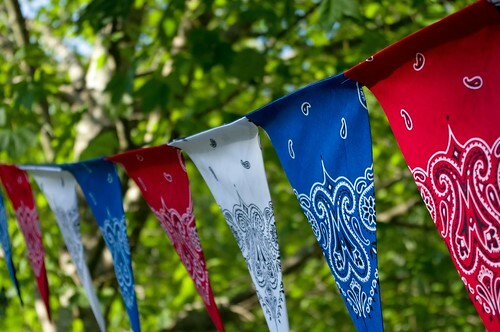 All you need is rope/string, scissors, bandanas and Fabric Fusion glue. So many possibilities. Last summer I made these adorable Red, White and Blue Shoes for my daughter. Dip-dying is about as easy at it gets when it comes to breathing new life into canvas shoes. 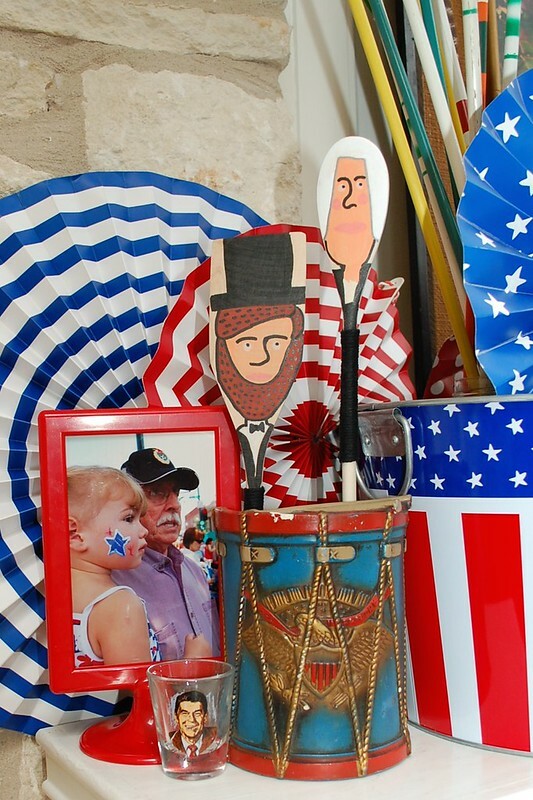 All you need is a bleach pen to give them a patriotic touch. Bottled beverages with personalized labels is always such a great detail to add to a party or gift. 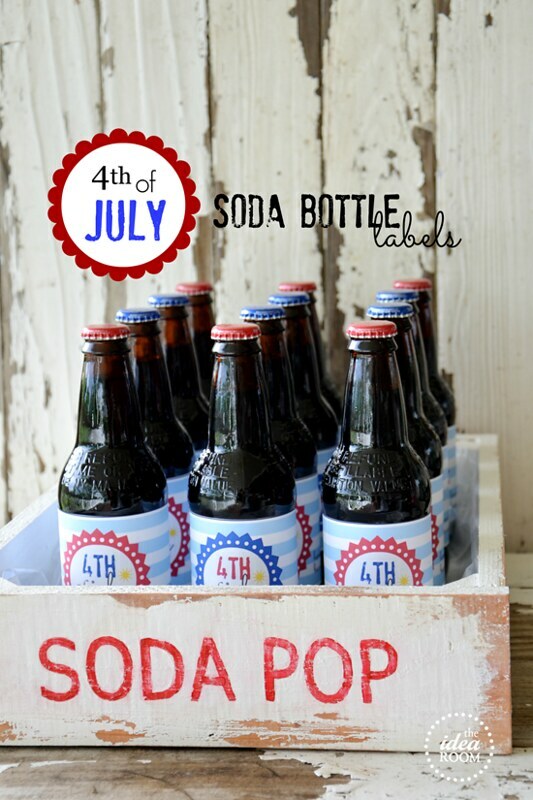 Over at The Idea Room Amy has a free template for making these patriotic pop bottles to keep you hydrated on the 4th of July in style. 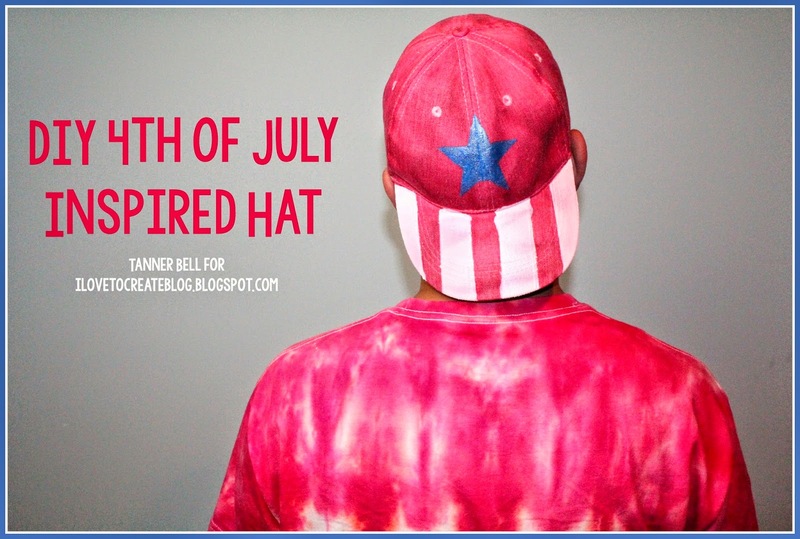 Mr. Tanner Bell shared a patriotic tie-dye shirt and matching hat with I Love to Create readers. Make a pair of those dip-dyed shoes and you could be in the spirit literally head to toe. Holidays with strict color palettes are easy to craft for. 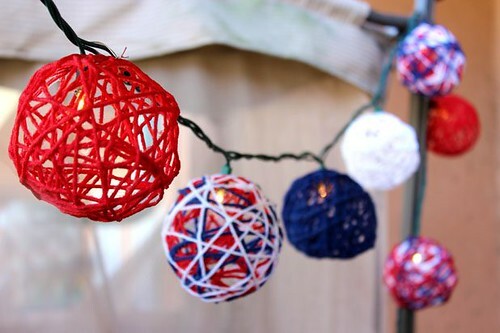 As long as you stick with red, white and blue your project (no matter what you actually make) will be perfect for 4th of July. Don't believe me? Read on and get inspired. Don't forget what Duncan was originally known for, ceramics. 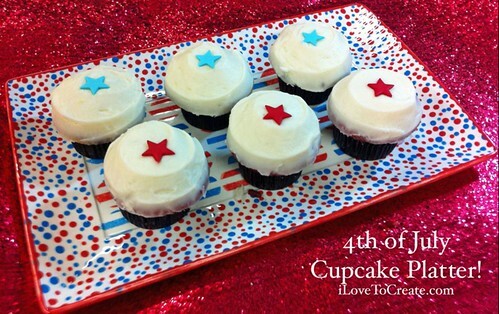 This adorable patriotic cupcake tray is perfect inspiration for your next 'paint your own pottery' adventure. Family Fun Magazine and Amanda Kingloff never disappoint when it comes to creative inspiration. I'm always drawn to paper straws, though I don't really like drinking from them. 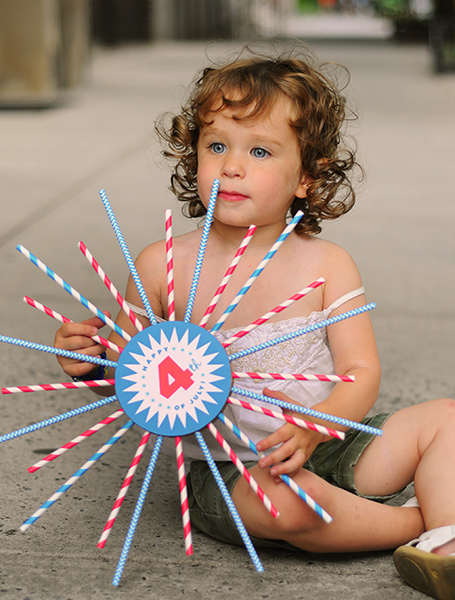 Firecracker inspired crafts like this one are much more my straw speed. 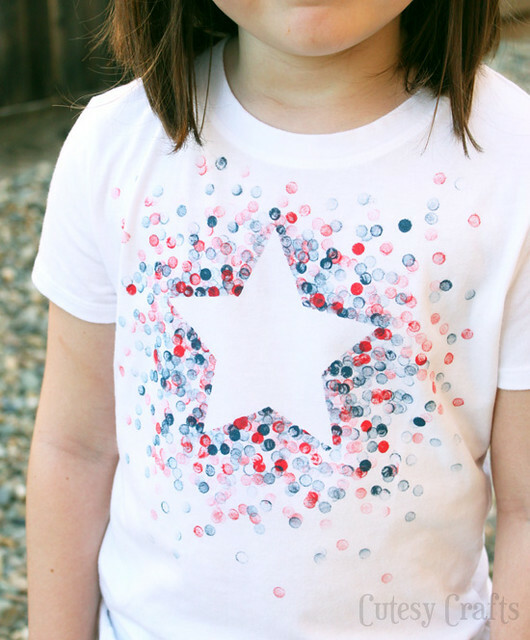 What did you use to make the dot and star t shirt?